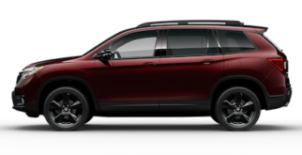 With a solid reputation for styling, performance, safety and value, a Honda Certified Pre-Owned vehicle is truly a great opportunity. Our certification process includes an exhaustive 182-point mechanical and appearance inspection to ensure that each vehicle meets the highest possible standards. Plus, all of our Certified Pre-Owned vehicles come with a 7-year/100,000-mile powertrain warranty and a 12-month/12,000-mile non-powertrain warranty. With all this, it’s no wonder IntelliChoice® has named the Honda Certified Pre-Owned vehicle program “Best in its Class” for four years running. Dependability, quality and value. Make the smart choice, and find a Certified Honda that’s right for you. Why is Honda’s Certified Pre-Owned Vehicle Program the best in its class? Every Honda built is a product of innovative engineering and quality manufacturing. And only well-maintained late-model Hondas are eligible for certification. Our certification process includes an exhaustive 182-point mechanical and appearance inspection to ensure that each vehicle meets the highest possible standards. Honda-trained mechanics scrutinize all major vehicle systems, including brakes, engine and drivetrain, steering and suspension, tires, wheels, exhaust system and vehicle interior and exterior. We replace any component that does not meet our stringent standards with Genuine Honda Parts, or restore it to “like-new” condition. We take pride in each step of our certification process so you’ll be completely satisfied with your Honda. A copy of each car’s Vehicle History Report will be kept at the Honda dealership and will be available for you to see. Every Honda Certified Pre-Owned Vehicle comes with peace of mind because of our limited warranty. *Body corrosion and some emissions components and seat belts are covered longer. See your vehicle’s original warranty information booklets for specific items. IntelliChoice, a leading provider of automotive information to consumers, has named Honda’s Certified Pre-Owned Vehicle Program “Best in Class” for the fourth year in a row. “Honda has consistently stayed a step or two ahead of the competition by continuing to strengthen its program,” said IntelliChoice® president John Hammond in announcing its survey results. “Their actions speak volumes: Honda is committed to certified pre-owned vehicles and to the customers they serve.”IntelliChoice® worked with a team of ASE-certified instructors and technicians—automotive experts who make their living maintaining and repairing cars—to develop a standardized list of 141 items that should be inspected when certifying a pre-owned vehicle. Manufacturer programs were then rated based on how well their inspection lists compared with the standard, as well as other factors. Among non-luxury nameplates, Honda came the closest to meeting–if not in some areas exceeding–the IntelliChoice® standard. Only Honda models that are six-years old or newer with fewer than 80,000 miles can participate in Honda’s stringent certification exam. 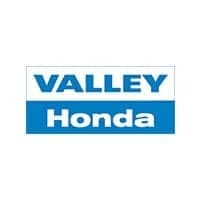 Ultimately, each vehicle must pass a comprehensive, 182-point mechanical and appearance inspection to be considered a Honda Certified Pre-Owned Vehicle.